In Edgefield County School District,school board members develop policies and make tough decisions on complex educational and social issues impacting the entire community. Your school board is responsible for an annual budget of over 30 million, 3,584 students, 485 employees and fifteen buildings. As a part of School Board Recognition Month,Edgefield County School Districtboard members participated in anofficial signing of the South Carolina School Board Member Ethical Principles during their January school board meeting. 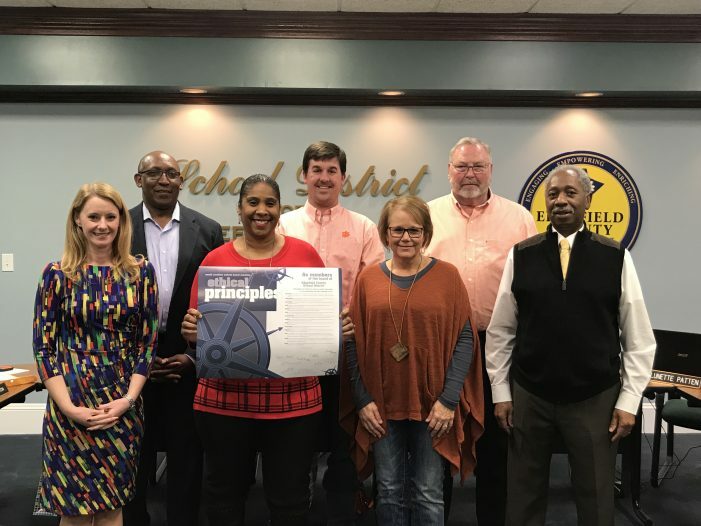 By signing the principles, school board members publicly vowed to uphold effective governance principles and pledged to improve public education in their community.